Make a Book, Be an Author! Join author, Heather Shumaker, in this creative writing workshop to find out what makes us all love a good book. 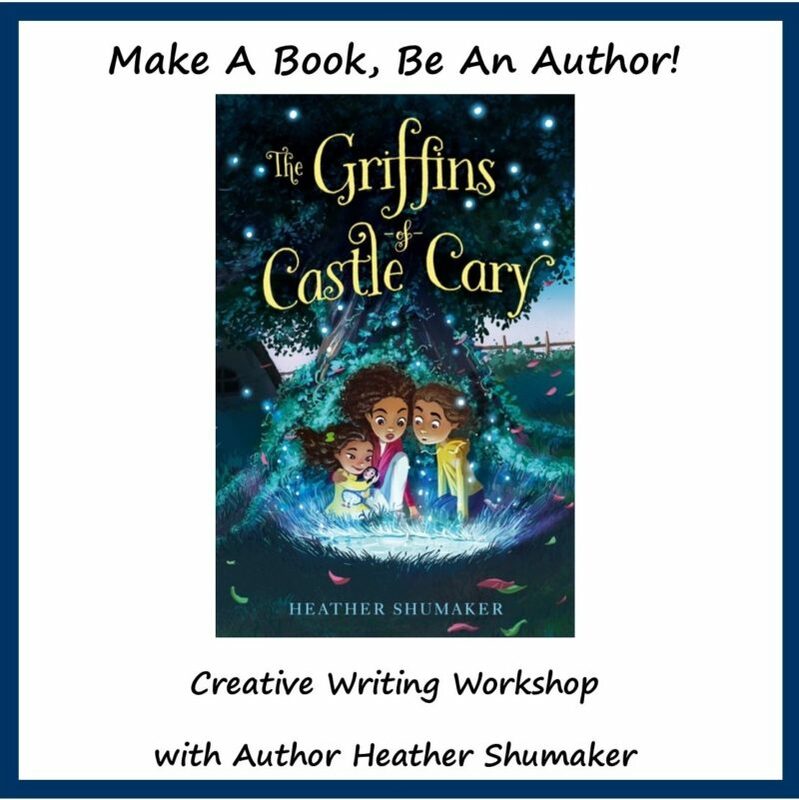 Explore types of plots, characters and storytelling styles, then dive into writing your own story.Heather is the author of The Griffins of Castle Cary. A mystery adventure book published by Simon & Schuster, a middle grade book for ages 8-12 years.This workshop will fill fast after Heather visits Charlevoix Elementary School on Friday April 12th!Register by clicking the calendar link.